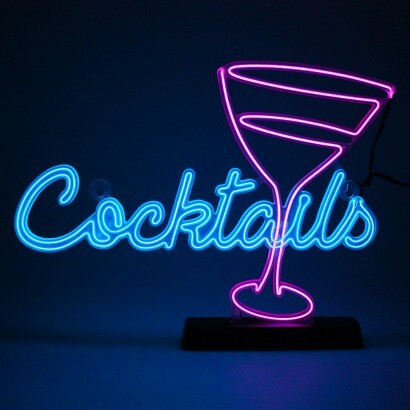 Celebrate happy hour and say cheers to your favourite tipple with a colourful retro neon effect cocktail sign! 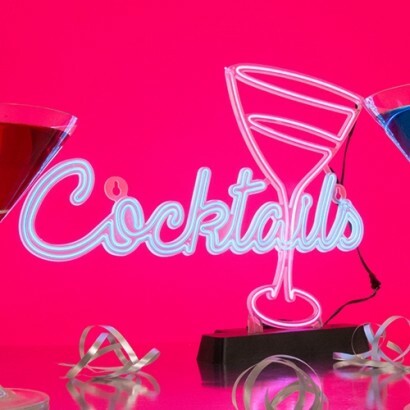 Mix up your favourite drinks and gather your friends in the bold neon light from this stylish retro sign made with electro luminescent wire that shines in three cool modes! 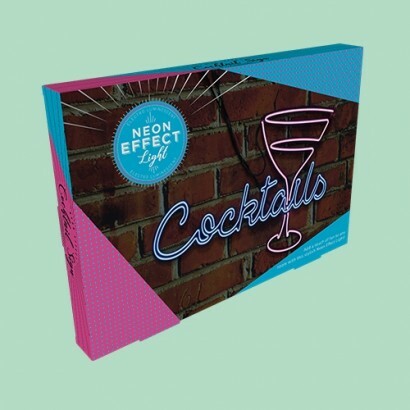 Just as bright as the neon signs of yesteryear, el wire is safer, remains cool to the touch and allows you to choose settings, making it perfect for transforming your kitchen into a cocktail bar at happy hour! 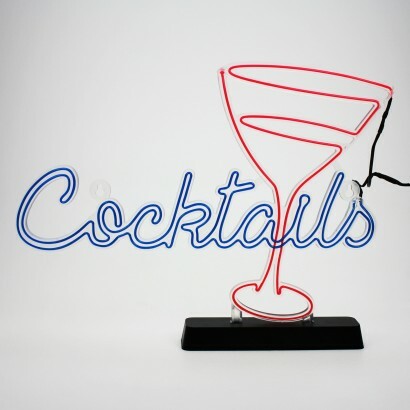 Battery operated, place this funky sign anywhere using the free standing base included, or wall mount it as a more permanent fixture! Cheers!